Im flattered really. It says a lot that kids want a cheap JB version. Its really cool, I do wanna play one though and see if they are good playing guitars at least. This is actually inspiring me to make a phone call to some friends at Epiphone.. Thanks for the heads up. If someone gets one let me know how it is. Hey Joe, (scuse the pun) If you still want to have a look and feel of the JB Vintage model, I will be honoured to bring mine over to the Regent in Ipswich tomorrow and you can do what ever you want to it, except smash it up of course, I'm a poor boy!! I've just pre-ordered one of your new Epi baby's should be with me in 4-6 weeks, can't wait it looks killer!! Looking forward to my 2nd Joe and co gig of the year, Rip it up tomorrow, see ya there! Have Fun and laugh like it's your first time! You never know you might get to like it! I've ordered an epi JB myself. Looking forward to getting it plugged in. Spec wise similar to the slash epi. Great price and reasonably limited edition. I've got one Vintage®V100 ICON Series, amazing value! This is a great budget guitar, better than all the Epiphones I've tried. In terms of playability it is very comfortable, very close to my Ibanez guitars (my reference guitar is my Japanese Ibanez Balzer Custom, this can only be matched by a '57 Strat reissue in my opinion anyway). 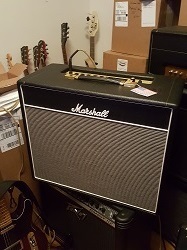 The sound and sustain are amazing, I can get all those LP tones from my Marshall JCM900. If you can not afford the real deal get a Vintage.